iZettle is an European startup specialising in providing small businesses an ability to use their smartphone as a conduit for allowing payments using a proprietary iZettle card reader. It's a concept aimed at providing small business and merchants the ability to charge customers without resorting to expensive solutions. This is similar to Square in US, only it's a bit more secure as it uses a chip solution rather than magnetic strip and is EMV approved. Yesterday, iZettle, alongside their partners at Mastercard, American Express and EE, announced their entry to the UK market. 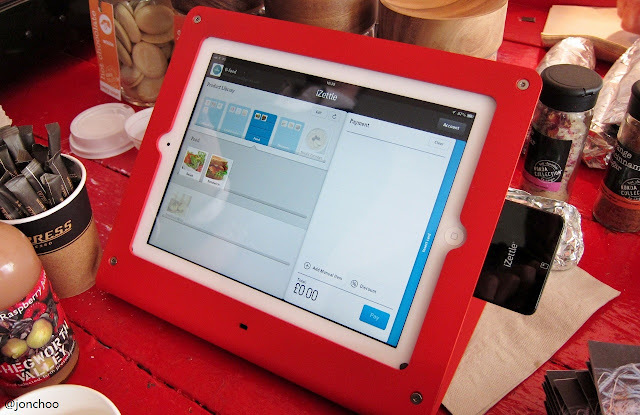 According to iZettle, 50% of missed sales by merchants are due to their inability to accept plastic. This is true even in build-up areas in London - I can hardly remember how many restaurants and coffee shops I had to give a miss because there was a 'only cash' sign. There are a million card payment in the UK, but 12-15 million iOS devices plus a heck lot more Android smartphones, so this service will allow plastic payments for small businesses who would normally be unable to afford more expensive specialised solutions. In terms of security, the iZettle is, on theory at least, more secure than Square as the reader is chip-based rather than magnetic. On the other hand, the iZettle solution isn't chip and pin enabled, which is technically a more secure method of making payment than chip and signature. Still, according to iZettle, apart from the UK and France, their core European market is more comfortable with chip and signature, and I know my father personally prefer chip and signature payments. At the iZettle launch in London yesterday, we were demonstrated by actual merchants who has been using the device for the past few months. 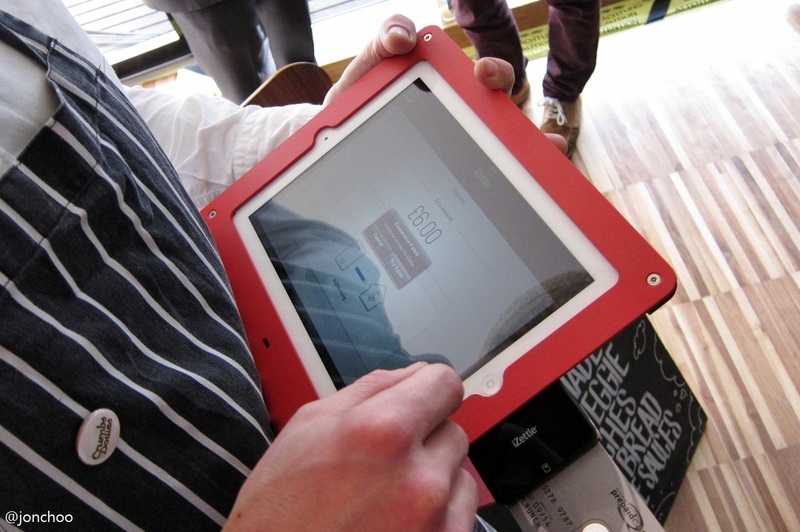 Using it couldn't be any simpler, the merchant selects the items you have purchased, insert the card payment and after the app makes a secure wireless connection with the bank, remove the card and the customer is asked sign the screen. An email receipt (complete with geo tagging) will then be sent to the customer. In all it took about a minute from insertion of the card to confirmation message. The app is designed in such a way that merchants would not even require the reader. One simply needs to add the details of the card manually and for the customer to sign the screen. 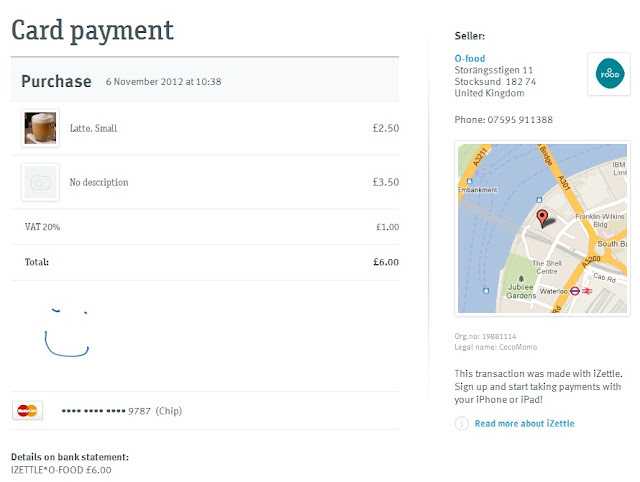 As before, a receipt will then be issued via email. Kinda like PayPal, only one designed for face to face transactions instead of eBay. According to iZettle, no details or signatures are stored on the smartphone or card reader, as all transactions are done and stored in the 'cloud'. Before I continue, let me add how having the receipt emailed to you is such a huge advantage when it comes to dealing with VAT invoices and expenses. A big win for an almost paperless future (I will still hold on to my comics though, thanks). There are two version of iZettle card readers, a 30-pin iOS devices and the other a platform agnostic version with using headphone jack. A version for the iPhone 5 and new iPad Mini's Lightning connector is not being planned, though the headphone jack version will work on such devices. But I have seen the 30-pin version connected to a new new iPad via an adapter, so I assume it works. I had the opportunity to speak with a couple of merchants at the launch. All of them has been using iZettle for a couple of months and according to them, many customers has been happy to make payment with chip and signature. Legality wise, a signature on a device is as important as it is on paper and liability resides with the merchant. Before today only MasterCard, American Express and Diners Club cards are accepted, but they have recently added VISA to the list. iZettle are targeting small businesses such as taxi drivers, market stall owners and pop up shops who are unable to afford the more specialised and thus more expensive solution. It makes sense as everyone and their dog has a smartphone these days. A portable PDQ chip and pin terminal for example costs from around £19 a month to rent. The iZettle reader is priced at £20 which one simply adds to the cost of their smartphone which they most likely already own. On paper, iZettle sounds like a great solution for merchants seeking a payment method that is cheap while we wait for wireless payment to take off. 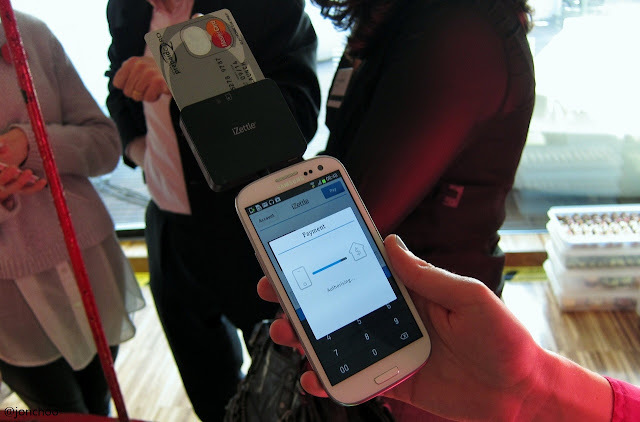 With NFC enabled smartphones, one could even use them to accept payments without using a card reader, though of course NFC payments do come with limitations such as a transaction limit of £15, no doubt a security measure to prevent widespread 'skimming' fraud, where as with iZettle, the transaction limit is at a more reasonable £1500. iZettle will take 2.75% fee off each transaction which, according to them, is low for the industry (PayPal for example takes a minimum 3.2% off transaction fee, though the percentage reduces the more you pay out). While this isn't quite the plastic-less future we were hoping for, at least someone is attempting to address the issue regarding mobile payment. If the take up of iZettle and similar concepts increases, perhaps one day we can finally bid goodbye to that 2500 year old invention known as money. For the UK launch, iZettle is partnering with EE as their sole telesales and distribution partner. It will be available for sale from today and will cost £20. It is compatible with iPhone 3, 3GS, 4, 4S, iPad, iPad 2, iPad (3rd gen) and most Android devices running at least Android OS 2.1.